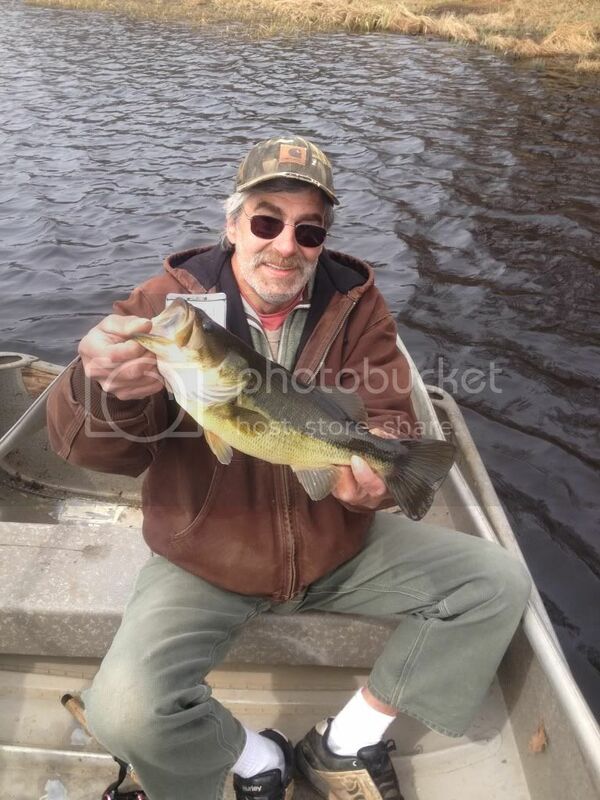 ...I got my girl's old man out on the lake by my house for an hour today. Needed help getting the lil boat from my house to the lake anyway with the bum back. This lake still had ice on it 2 weeks ago. Water's still too cold, but managed 1 nice greenie. Soon as the water in this shallow pocono lake warms up a bit, it will be on fire. Then it will be choked out by weeds until fall, but I can still catch them in the thickest of swamp weeds . I can't go more than a day or 2 without a fish on my line...it's a sickness . down closer to the Susky we're hammering nice gills on dry flies close to shore, (medium sized pond) nice calicos too. If we hit it tomorrow I'll get some photos. River gauge shows the water dropping like a rock and no major heavy rain forecasted for the net week or so should be good fishing later this week. I saw that...looks like it's gonna level off around 7' in W-B. That's about the max height I like to fish it, but if it clears up abit it will be on. I might go tdy, but will definitley be out this week .